← I’ll be at the MCM Comic Con, London 23-25 October – come and say hi! Friday 9th October 2015 – Both my two had an INSET day. Emily and George are at different schools, so the likelihood of them having an INSET day on the same day are quite remote. However, today they were the same. So after George and I had been doing various chores in the morning, which included getting him another pair of wellingtons as he’s out grown the ones I bought him a year ago, and after a lovely lunch, the kids and I got our wellies and got in the car and drove off to Winkworth Arboretum. We’ve been here many times before, but it’s one of our favourite places to go, so we keep going back. The traffic was rather…annoying…. I think is the best way of discribing it, but we eventually got there. 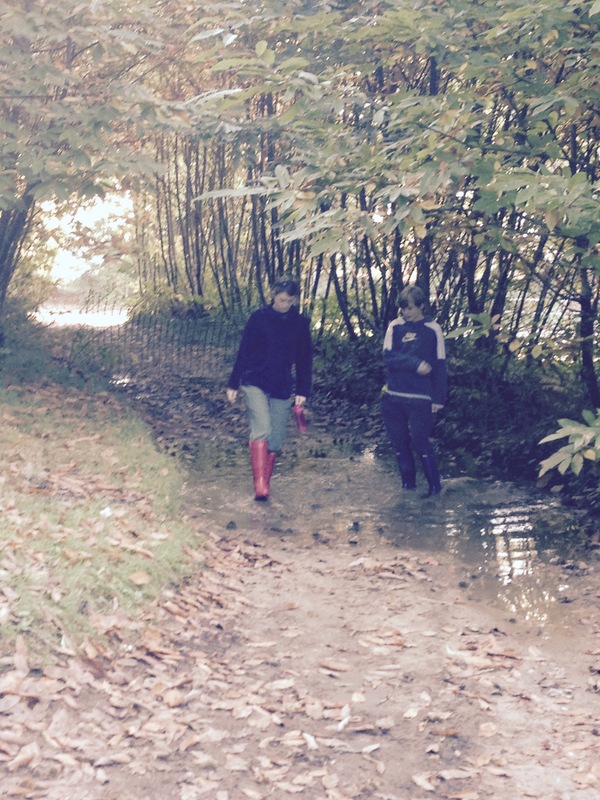 When we arrived, we put on our wellies and got out the car. George then did something very odd. He walked around a puddle?!? I said in a rather confused voice “Um George?” and looked at the puddle. He looked at me firstly thinking he was going to be told off, but I then gestured towards the puddle and he grinned and stood in it. “That’s better,” I said “You’ve got to christen your new boots.” Now that it’s autumn all the leaves are turning and it looks so beautiful at Winkworth. 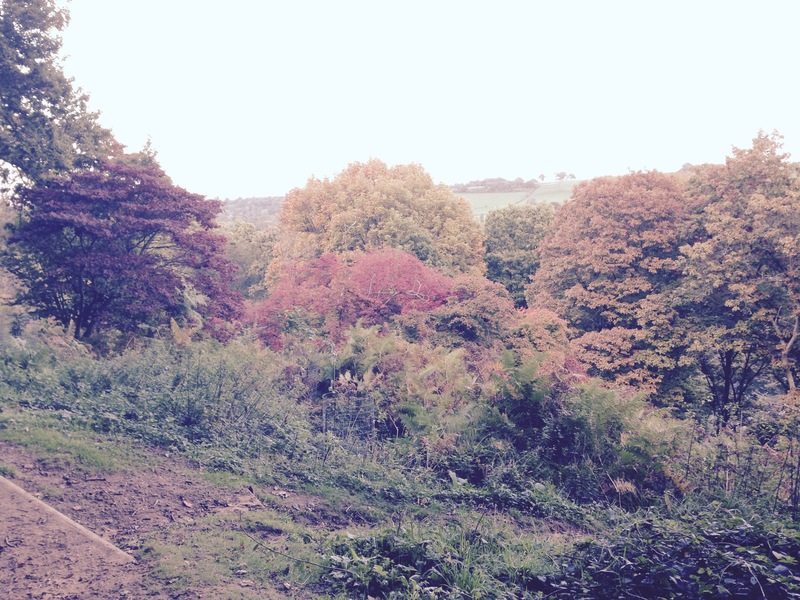 The trees are turning so beautifully at Winkworth. All the various fungus are coming out as well and they’re all sorts of different shapes, sizes and colours. I’ll go for a walk in a couple of weeks, in our local wood and find some more wonderful varieties and make a little film. I just find them fascinating the way they grow anywhere and everywhere. I have no idea on their names, but I’m sure either I’ll find out or someone will tell me. 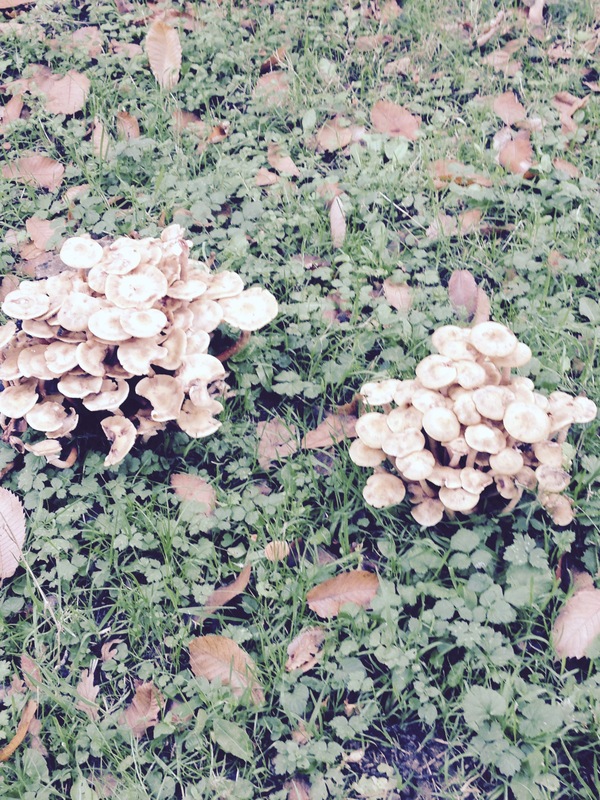 Some spectacular fungus could be found. Don’t pick any they’re poisonous. The Arboretum is so large that we managed to find areas that we’ve never found before. There was a lovely wooded area (well obviously, that’s what an Arboretum is). 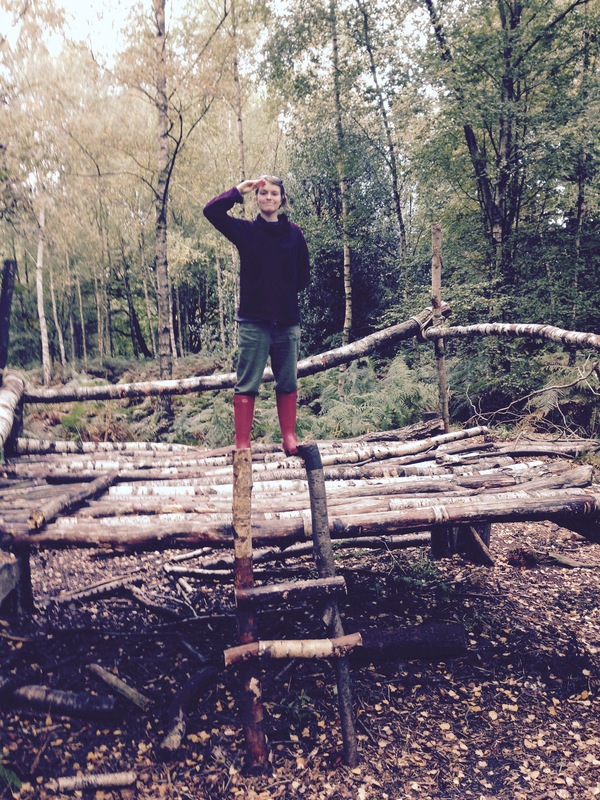 What I mean is a wooden play area full of stumps, and structures that you could climb and play on. It’s great to see the kids playing around on them, and I think they really enjoy being able to still be kids every now and then. Emily being queen of her domain!! George spotted a male pheasant in the undergrowth and managed to get with in about 2 metres of it before it saw him and ran away. They’re really beautiful birds with all their “beautiful plumage! !” We walked around for about 2 and a half hours before we made our way back to the car park and home. But I didn’t want messy wellies in the car so the only way to get them clean is to wash them in a puddle. Well they’re wellingtons after all and that’s what they expect. A lovely day and a wonderful way to spend and INSET day with the kids. What does INSET stand for? This entry was posted in Uncategorized and tagged claire's allotment, National Trust, pheasant, RSPB, Winkworth Arboretum. Bookmark the permalink. 2 Responses to Friday 9th October 2015 – Both my two had an INSET day. But didn’t they get training and teacher training college? I suppose things change. Still we enjoy the day off together. I like to think we did something “educational”.